This is the world famous Tony Meade….. 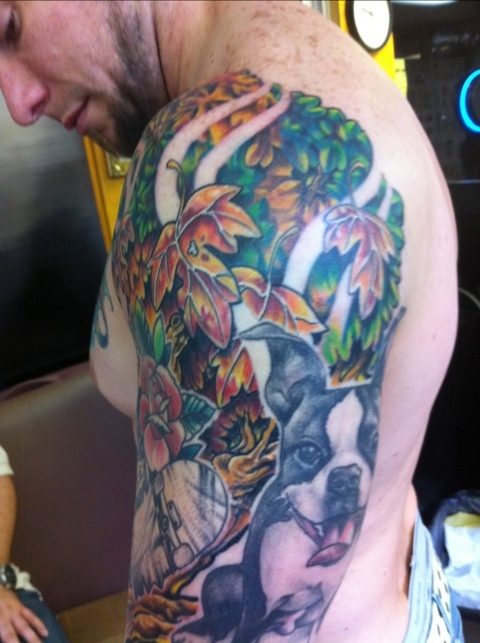 I did his background as a tree behind the pre exsisting Boston terrier and skate board tattoos by grant Cobb. 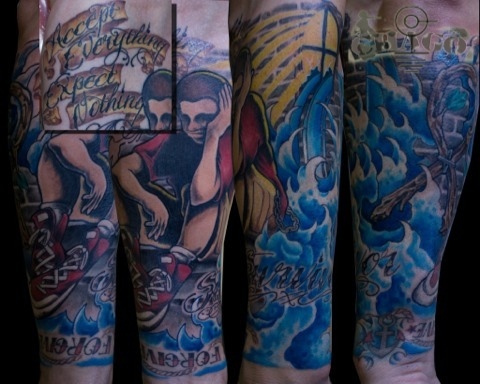 I also did a forearm piece on Tony based off of a matt Hensley skateboard design a while back. 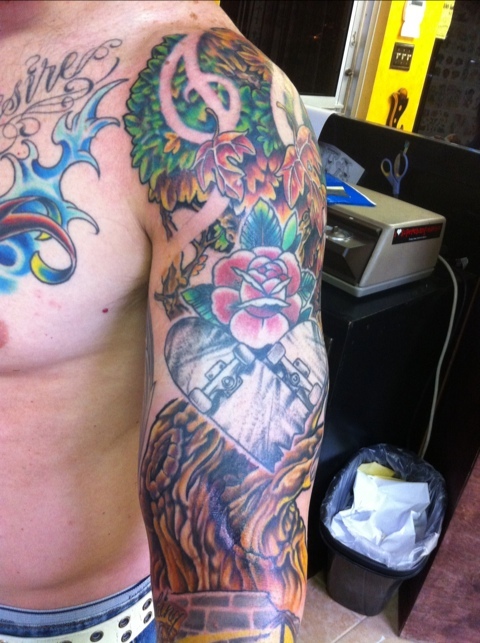 This entry was posted on March 12, 2011 by chagotattoos. It was filed under Uncategorized .